Gadget makers love the Internet of Things. Just look at connected refrigerators, connected tampons, and connected pregnancy tests as some examples. As I've said before, and I'll say again, the security of these devices is often inadequate. At the Hickleys training academy we offer high quality training on all types of Domestic, commercial and Auto locksmithing skills, our trainers are active locksmiths ensuring their knowledge and skills are current and cutting edge, being technical leaders in their chosen subject you will receive the best possible training and be able to put your new skills to work straight away. We live in a digital age and technology has become an essential part of our lives, whether it's 4K super HD TVs, computers or smartphones, machines are all around us. Technology is trying to make our lives easier, but is this always the case? Technology is prevalent among the door hardware industry and brands such as SimonsVoss offer innovative, clever and secure keyless locking solution. GJD, one of the world's most innovative leaders in British manufacturing and design of professional external detector equipment, recently launched the Laser-Watch, a long range IP connected laser surveillance sensor. The tragic death of a woman who died after getting caught in an automatic car park door underlines the need for all those responsible for automated doors to ensure they are safe. So says the Door & Hardware Federation (DHF), the trade body which represents suppliers, installers and maintainers of powered doors, gates and traffic barriers. The woman, understood to be in her 30s, is thought to have got into difficulty while accessing the automatic rolling shutter at a private parking basement at an apartment complex in Cambridge. The accident is being investigated by the police and the Health & Safety Executive. Just 4 weeks to the show of shows. 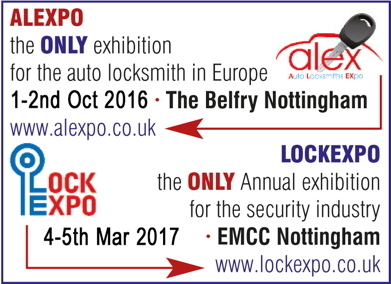 Everything for the vehicle locksmith, new and old, will be at this show. Can you afford to miss the great show bargains? All the leading suppliers of the equipment needed to perform this work will be exhibiting at the show. Even if you'r only mildly curious, come and see what it is all about. Sponsored by KAPdiagnostics who will have 3 new products to show over that weekend. The official new version of MagicArt software is out now and it is more powerful and advanced than ever before and available to download at lockdecoders.com. Sargent and Greenleaf, Inc. (S&G), a division of STANLEY Security, announces the launch of the S&G 2890B Alarm Integration Kit, giving the user the ability to monitor the complete status of the S&G 2890B Lock. This kit includes sensors that monitor the movement of the six different functions of the S&G 2890B Lock. The S&G 2890B, when paired with the S&G 2740B lock, is the only lock that allows you to shelter in place during an active shooter situation and meets Federal Specification FF-L-2890B. Without leaving the secured space, occupants can quickly lock the combination dial from inside to prevent unwanted entry. Pro-Vision Distribution Limited, a United Kingdom (UK) - based distributor of branded CCTV and access control equipment, has recently signed an agreement to supply and support the full portfolio of equipment from FLIR Systems, Inc.
Tradelocks triumphant at Open Day! It may have been a washout as far as the weather was concerned, but it certainly wasn't a washout for Tradelocks and their Open Day event on Saturday the 20th of August! The leading supplier of locksmith tools and technology may have had to battle with the weather, but they didn't have the same fight on their hands getting locksmiths from around the country - and even further - to come and check out their incredibly low prices, astounding deals and professional demonstrations. August 26th saw a selection of locksmiths attend the first ABUS Cylinder Systems Roadshow at the Mariott Hotel in Waltham Abbey. This event was ABUS' first in a series of roadshows designed to host a small, individually selected group of locksmiths, allowing them the opportunity to meet and liaise with the ABUS UK Sales Director, Product Manager and Sales Team Manager along with the export product manager from ABUS headquarters in Germany. GJD, a leading British manufacturer of professional security equipment, is delighted to announce we will once again be exhibiting at The Security Show 2016. The exhibition is hosted by GJD's loyal distributor, Security Supplies, on Tuesday 6th September 2016. GJD will be exhibiting at stand number 18 and will be showcasing its D-TECT IP motion detectors, Clarius PLUS Infra-Red and White-Light LED illuminators and state-of-the-art LASER sensors. Guardian24 - the UK and Ireland's leading lone worker protection provider, have been entrusted to protect Gateway Family Services' outreach staff via Smartphone apps. As a Community Interest Company, Gateway Family Services works with the NHS and Local Authorities to provide health and well-being services to communities in Birmingham and the West Midlands. These services are delivered by Pregnancy Outreach Workers and Health Trainers, who give one-to-one advice to clients in the community; often working alone which puts them at greater risk should an incident occur. A McDonald's restaurant within a retail park in County Durham is using an IP CCTV system supplied by Comelit UK. Systems integrators See-AV are installing a 32-camera network video system, including a 36-channel NVR, for recording images. Security is at the root of all human want. There is a base desire to hold on to the things you have acquired during your life, as well as your life itself. The key to that peace of mind is balanced security, in which home security door locks play a key part. But how do you get this type of balance? There are three essential building blocks needed to attain this safety stability. Within each key there is a necessary internal balance in addition to the general balance of the overall security. By keeping all of these ideas in mind, you will be on the road to achieving more effective safety. Chris Valentino has joined Xvision as Head of Business Development. 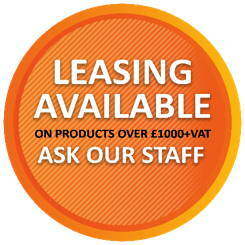 A Y3K company, Xvision designs CCTV, networking, access control and door entry products from its Surrey headquarters. Following a second theft of a vehicle on a motorway in Essex this week, police are advising motorists not to pull over if requested to do so by anything other than a marked police vehicle. This warning follows a second theft between junctions 28 and 27 on the anti-clockwise M25 at around 14:10 on Monday, July 25th. Hickleys, the vehicle key programming specialist, are explaining the opportunities in vehicle keys at two presentations being held in Milton Keynes and Leeds this month. Why is the EU appointing a British security chief after Brexit? Britain's representative to Brussels has been nominated to be the EU's new counter-terrorism security commissioner despite the UK voting to leave the European Union. Sir Julian King has been given the key role by Jean-Claude Juncker, even though the European Commission President previously warned that British "deserters" from the EU would have to "face the consequences" of "being regarded as a third country, which won't be handled with kid gloves." Comelit is working alongside Atlas Fire and Security (NI) to install its SimpleHome intelligent home automation system at a supported living community in Lisburn, Northern Ireland. The client is Triangle Housing Association and the project is a development of 13 wheelchair-accessible apartments, with staff accommodation, on a brownfield site at Hillsborough Old Road, near the River Lagan. St Michael's Middle School in Wimborne, Dorset, is using transom door closers from Alpro as part of a £220,000 refurbishment. Alpro's overhead transom closers are a means of hydraulically controlling the opening and closing of an aluminium door. The units are on doors fabricated and installed by HH Aluminium of Southampton. These transom closers are contained within the transom header bar of a door and are therefore well suited to use in premises where attention is being paid to aesthetics. Features include dual closing speed to allow flexibility, three levels of spring strength and 90-degree hold open facility. The Challenge: To upgrade physical security measures at the main entrance of a critically important water treatment facility. The Solution: The priority was to deliver the means to apply strictly controlled and monitored pedestrian and vehicular access and egress to ensure the security integrity of the site.